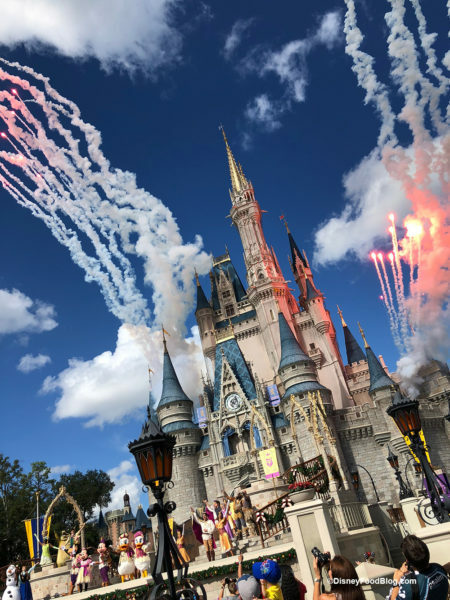 Even More Holiday Eats Found in Disney World’s Magic Kingdom! Just when we thought we had tried all the holiday treats available we spotted some more in the Magic Kingdom this week! 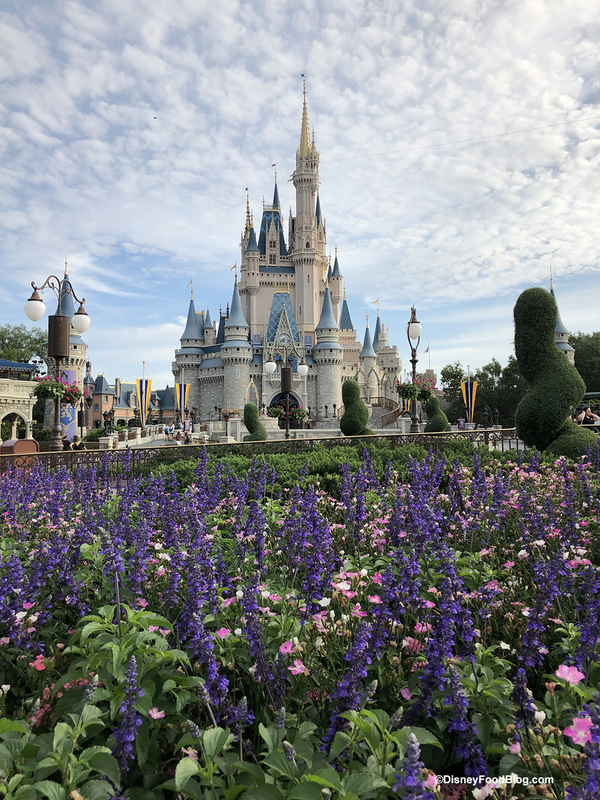 Come along on this sweet-filled journey through the Magic Kingdom with us! 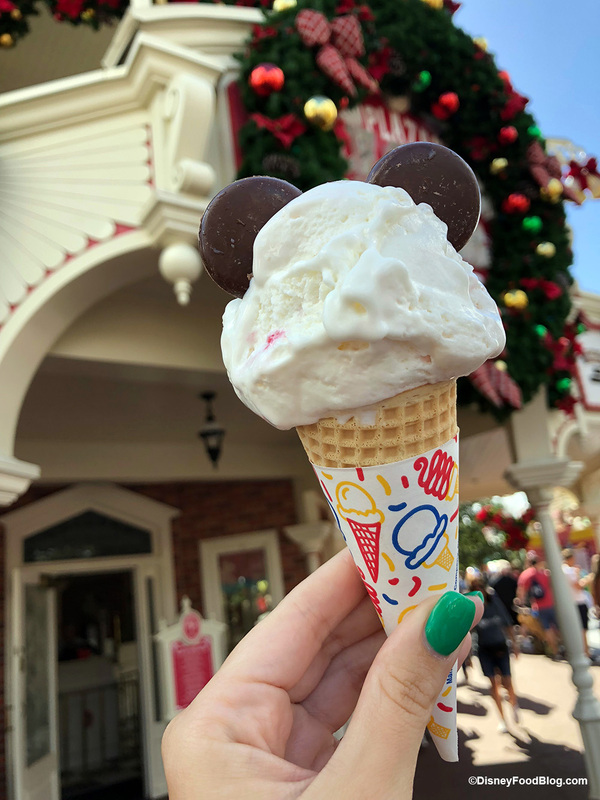 One of our favorite stops on any day in the park is Main Street, U.S.A.’s Plaza Ice Cream Parlor – and now you can get Peppermint Ice Cream when you’re there! Plus we just love it when they put those cute Mickey Ears on our cone! 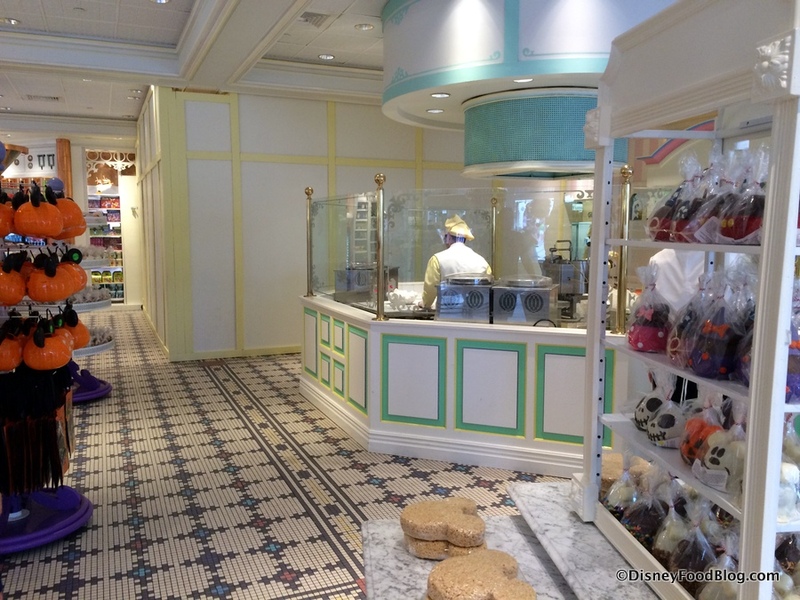 If you stop by the Main Street Confectionery over the coming weeks, you’ll find that things look quite different. That’s because the Confection Case is undergoing a 6 week refurbishment, and is therefore closed. But don’t fret! Not only is the rest of The Confectionery open (so you can still buy all sorts of in-house and prepackaged goodies), you can also still easily find your favorite house-made Disney confections —items like Mickey Krispy Treats, Cake Pops, Caramel Apples, and English Toffee — at Big Top Treats in New Fantasyland and Prairie Outpost & Supply in Frontierland! And the candy kitchen is still functioning at the Confectionery, so you can even get some house-made treats right here! Just not sold out of the case. The six-week timeframe should position the reopening to occur around the beginning of November — right when the treats in the case will likely receive their annual holiday makeover into hues of red, green, and frosty winter blue. In the meantime, let’s take a little tour to see what The Confectionery looks like at the moment. 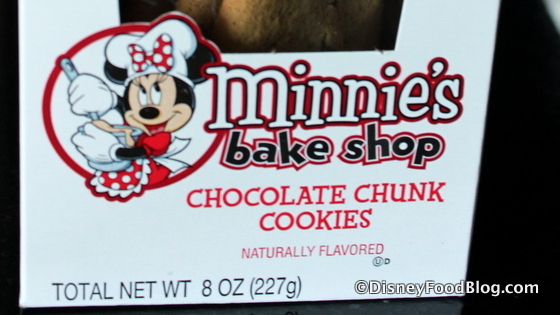 You may have passed by boxes upon boxes of Minnie’s Bake Shop Chocolate Chunk Cookies in several merchandise spots around Disney World and Disneyland without even noticing. 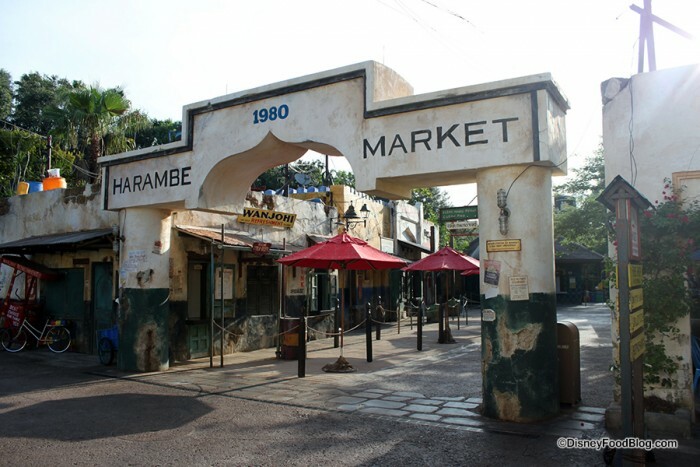 We’re meandering back through the brand new Harambe Market in Disney’s Animal Kingdom to take you on a full tour and review of some of the treats at Zuri’s Sweets Shop today! The shop, located outside the main gate of the new eating area, is your stop for all kinds of prepackaged sweets and snacks. You’ll find an assortment of familiar Disney snacks with Animal Kingdom-specific branding as well as a number of out-of-the-ordinary bulk items. But you’ll also find a confectionery counter with freshly made candy, cookies, and other sweets. I can’t wait to show you all that we’ve tried over the course of a couple of visits! But before we get to that, let’s have a look around. If you haven’t had a chance to check out Harambe Market in person, be sure to take a look at our tour of this new spot. Disney has managed, once again, to create a brand new part of Animal Kingdom that looks like it’s been there since opening day. The themeing here is extraordinary.